Make great beats on the move; where you choose: A couple of the main advantages of a drum machine. The Drum Machine, in the context of this project, is an instrument that incorporates a drum set (Or multiple drum sets) and a recording machine to imitate the sounds of a drum kit when pads are struck. Drum Machines are often used by musicians, DJs or in general people who may not necessarily know how to play drums but are, however looking for a drum effect in the musical project they are busy with. 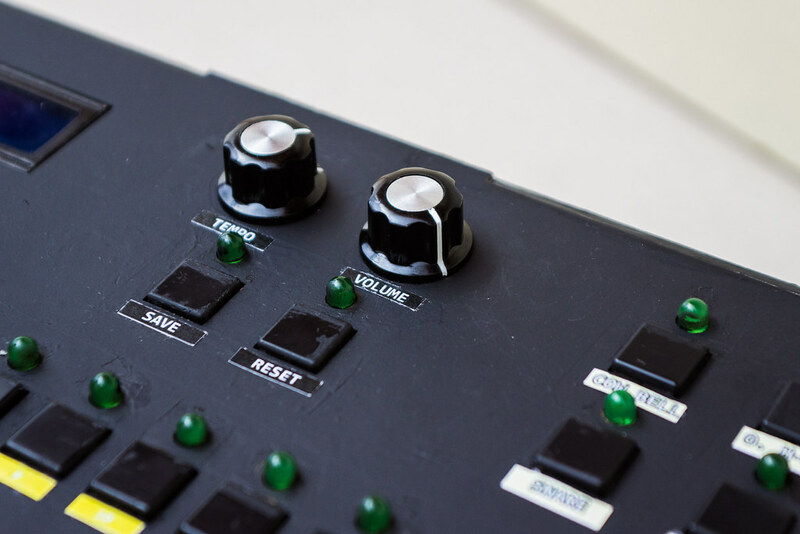 The aim of this project is to is conceptualize, design and implement a prototype drum machine that will demonstrate the full criteria of the EEE3074W design project. 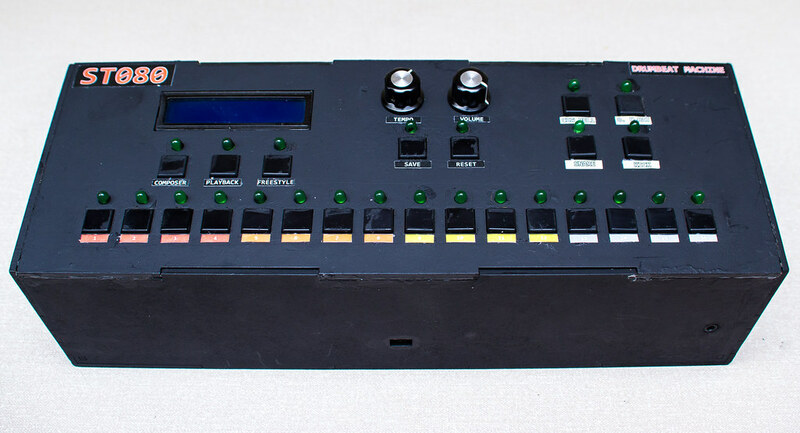 A Drum Machine is an electronic musical instrument that is designed to imitate the sound of drums, cymbals and other percussion instruments. Drum machines are used in many different avenues of life. 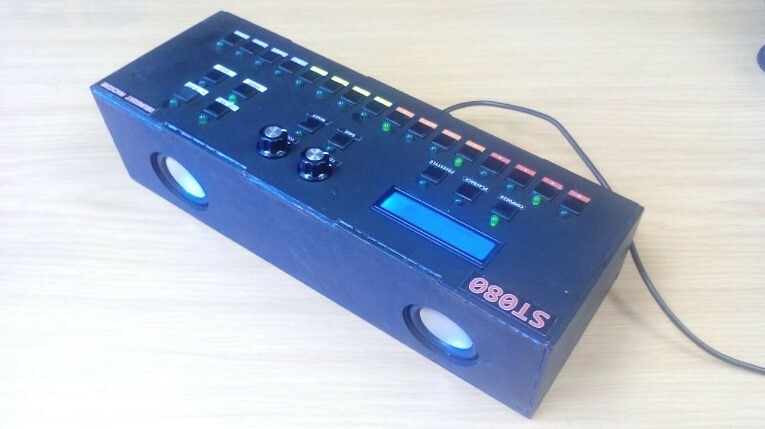 The use of a drum machine ranges from personal use to make nice sounding instrumentals for professional commercial use by DJs. The design is based on the design of a very popular Rhythm Composer, the Roland TR-808, as seen below. The TR-808 was one of the earliest programmable drum machines, with which users could create their own rhythms and beats. The drum machine has four different instruments. 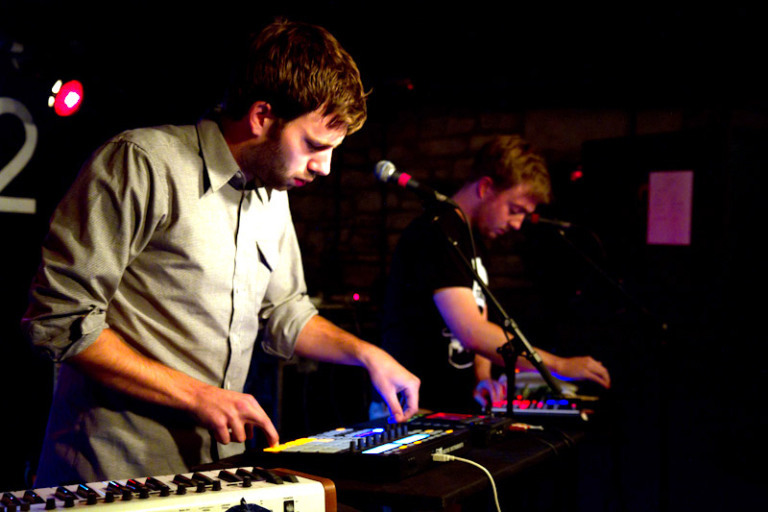 Each instrument has its own pre-recorded sample. The ST-080 has a composer mode that allows for interactive rhythym and instrumental creation. The user will be able to add an instrument sample to a channel rank while listening to the effects that it has on the composition. An example of this can be shown here. 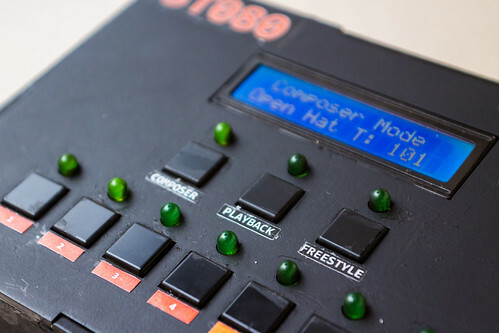 The other modes are “freestyle mode”, which allows the user to play the instruments independently by just tapping on the pads, and “playback mode” which allows the user to playback compositions that are saved in the ST080’s storage. 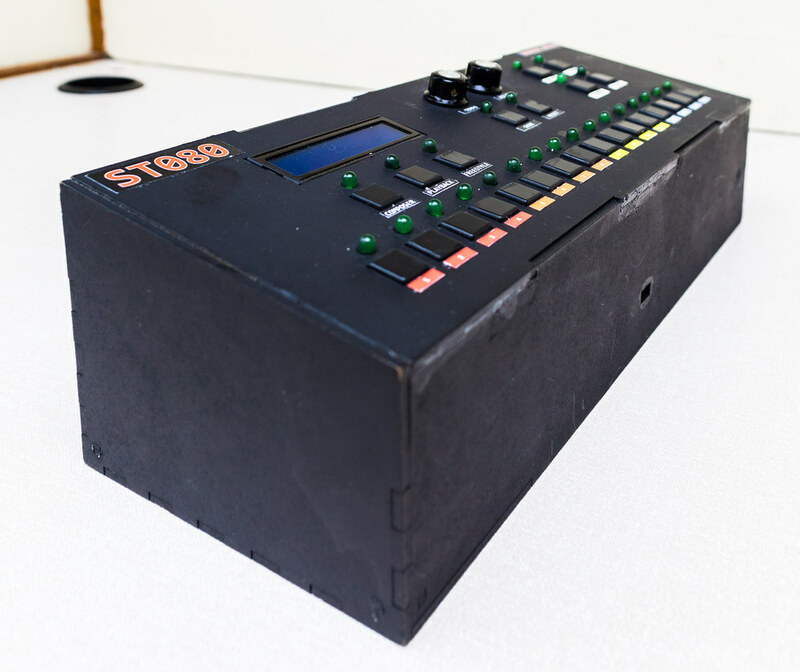 The prototype of the ST-080 is similar to (just as the name is) yet simpler than the TR-808. The user will have one of three modes when using the ST-080, namely Freestyle mode, Composer mode and Playback Mode. 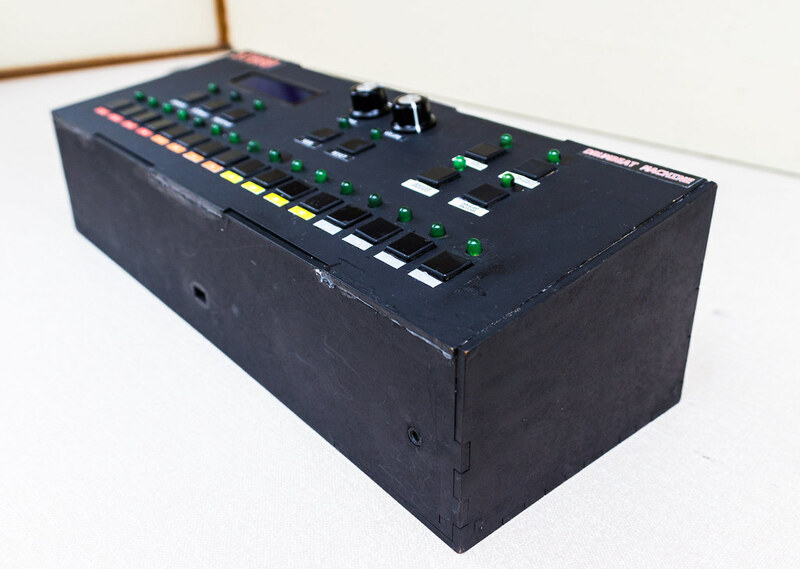 The ST-080 will not have all the extra fancy features like Playlist creation, equalizers, etc that the TR-808 has but there is enough room for these features to be implemented in future revisions of the ST-080. The prototype consists of a housing box that contains button pads, and LCD screen, LEDs, potentiometers, speakers, headphone jack and an STM32F4 Discovery microcontroller. It will have a row of buttons at the bottom that will be used for the channel rack, in the top right corner there will be buttons to select the different instruments (or play them depending on the mode), the potentiometers will be used to control volume and tempo and the LCD screen will be used to give feedback to the user. Composer Mode: This is a mode which allows the user to make use of the channel rack to compose an instrumental. They do this by pressing the buttons to create patterns (called “scores”) for the different instruments available on the device. The channel rack itself is designed for music with a time signature of 4 beats per bar hence it has 1 bar or 4 beats with each beat divided into 4 to make 16 pattern keys. The ST080 loops this array when in composer mode. Playback Mode: This mode allows the user to listen to any of the songs stored in the 16 slots provided on the ST080. Like the composer mode, the ST080 loops the channel rack when playing the music. Freestyle Mode: This mode allows the user to play around with the instruments on the ST080 and create their own music without any restrictions on tempo, patterns and time signature. They simply hit a button and the sound plays. Permanent Storage: The ST080 allows the user to store up to 16 songs. It does this by storing the musical scores that the user created rather than store the actual audio. This is more efficient because less storage space is needed and thus a cheaper storage device, like EEPROM, can be used to store music. Varying Tempo: The user can compose music at different tempos ranging from 40 up to 140 beats per second by simply turning a tempo-potentiometer on the ST080. Headphones Jack: The user has the option to plug in head phones or an external speaker system to either listen to the music in the headphones or connect to a larger sounds system. The output on the headphones jack has enough power to drive even the biggest studio headphones. Feedback: The LCD displays text to help the user with certain functions of the ST080. It also provides feedback like when it is saving something, loading, if no song is stored on a specific slot, the current mode, etc…). There are LEDs to show which keys have been pressed on the channel rack, which mode the user is in, which instrument is being modified, which song is playing or when it is saving or resetting. Visual Metronome: Instead of an audible metronome to help the user compose the music, a visual metronome was implemented instead. The LEDs on the channel rack will light up when that key is being played so the user can keep track of where on the channel rack the ST080 is playing music at and also where to add more scores as they wish. Reset device: There is a button to restart the device without saving any unsaved changes made to the songs. Clear all songs: There is a key combination that allows the user to delete all the songs stored in RAM. NB: the user would have to save if they want to remove these songs in the permanent storage too. Many features are missing from the prototype due to time and budget constraints but there is space for all of them to be added if development of this device is to go any further.